Message you send to this chat and calls are now secured with end-to-end encryption. Tap for more info. 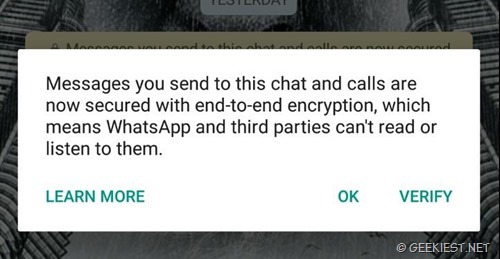 Which says that the message sent and calls between you and your contact will be encrypted end to end, that not even WhatsApp can read your message. The encryption and decryption will be happening at your devices. WhatsApp's end-to-end encryption ensures only you and the person you're communicating with can read what is sent, and nobody in between, not even WhatsApp. This is because your messages are secured with a lock, and only the recipient and you have the special key needed to unlock and read them. 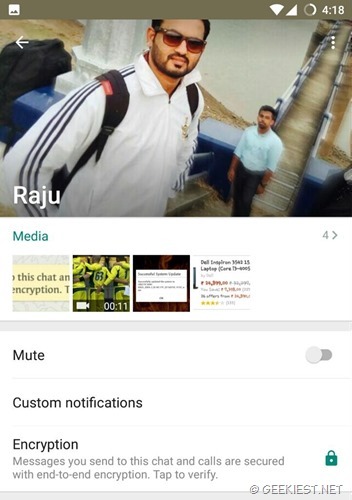 For added protection, every message you send has its own unique lock and key. 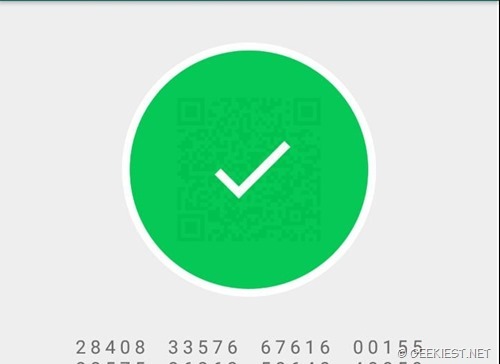 To verify the end to end encryption between you and your contact you can scan a barcode displayed on your friends WhatsApp of your contact can scan yours. 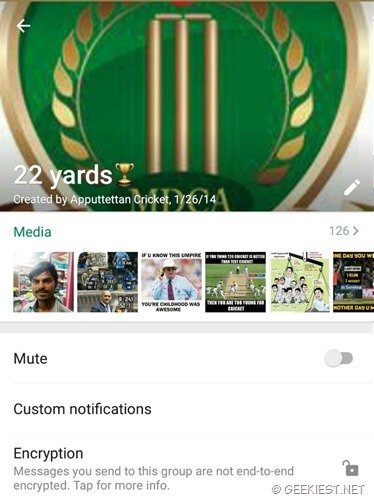 To make sure the end to end encryption is enabled you can open the Group Info for Groups and View Contact for individual contacts from the menu. Bitdefender 2015 range of products released.